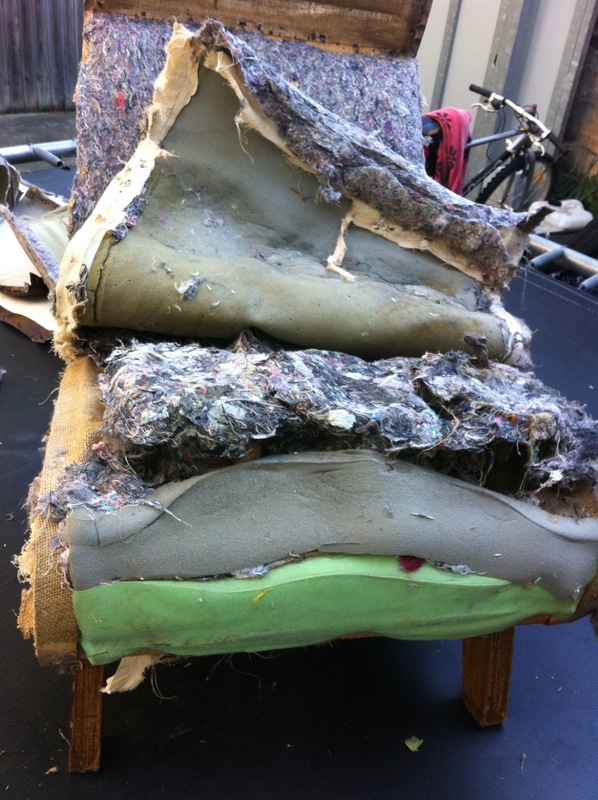 This ottoman was well and truly ready for some tender love and care. A beautiful aztec inspired fabric – medina watermelon from the Anthropology collection from warwick fabric house was decided on. 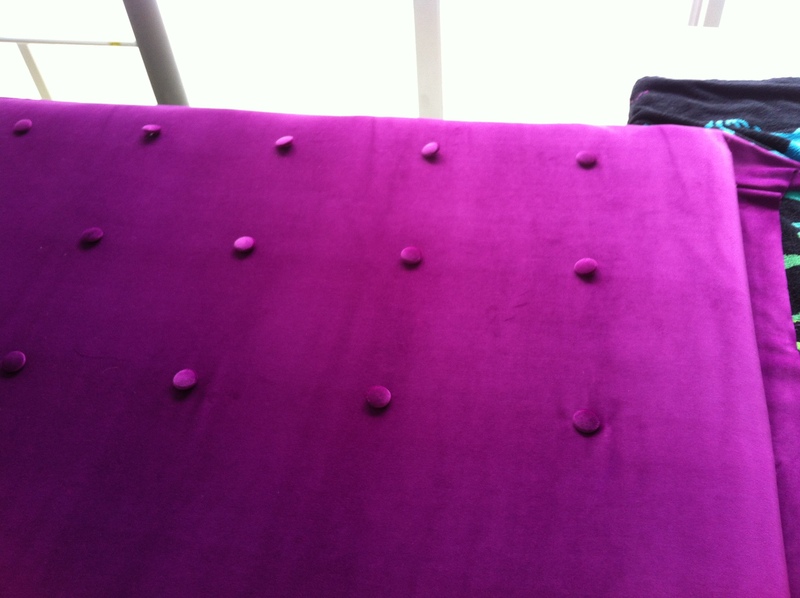 I decided to update the ottoman with a simple look, finishing with gorgeous studs around the base. Now the ottoman is ready to be used again. The client can’t believe the transformation. 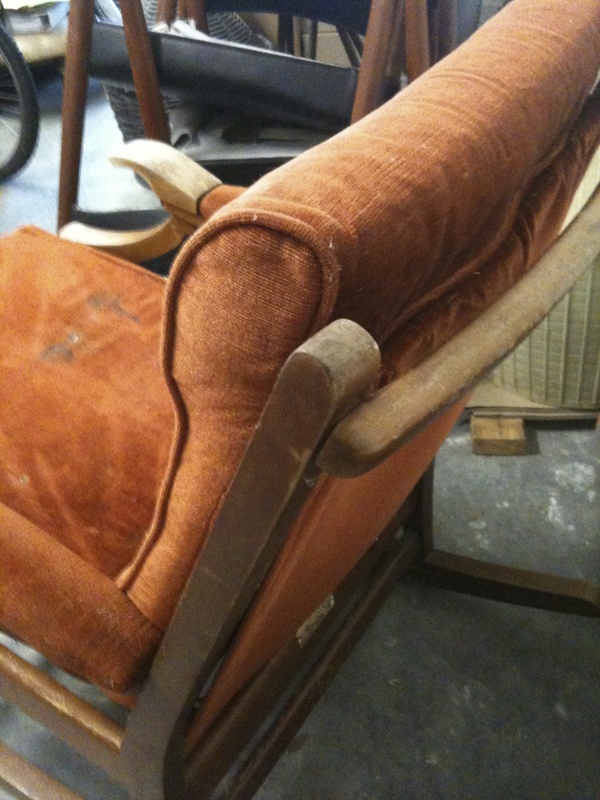 Two wingback chairs that belonged to a client’s family but were in a desperate need of an overhaul. 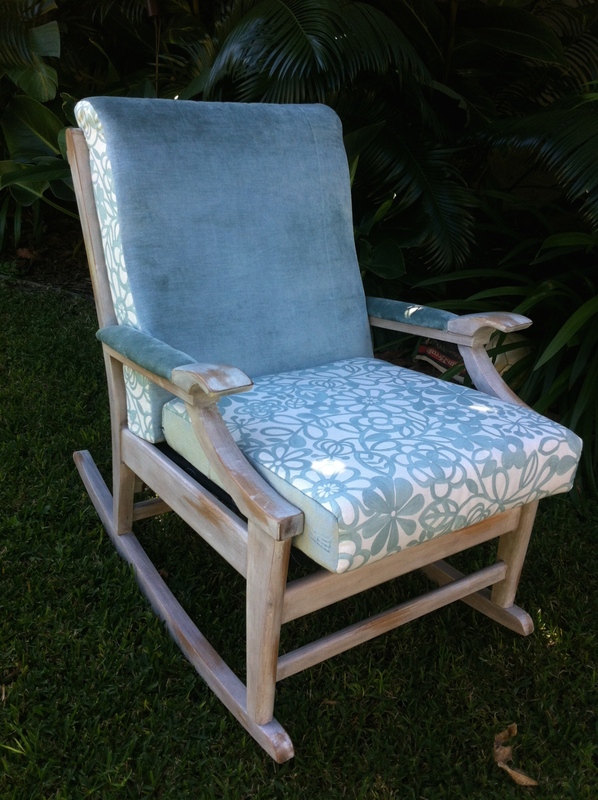 New foam, webbing, fabric and legs gave a new lease of life to these grand old chairs. 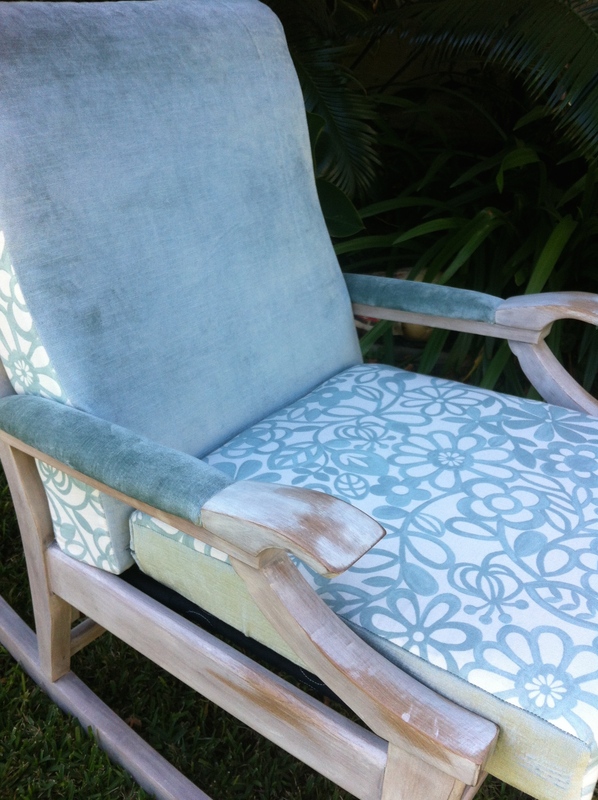 Gorgeous fabric makes an old ottoman come to life. The treasures you can pick up on the side of the road!!!!!! all you need is a little vision of what could be. 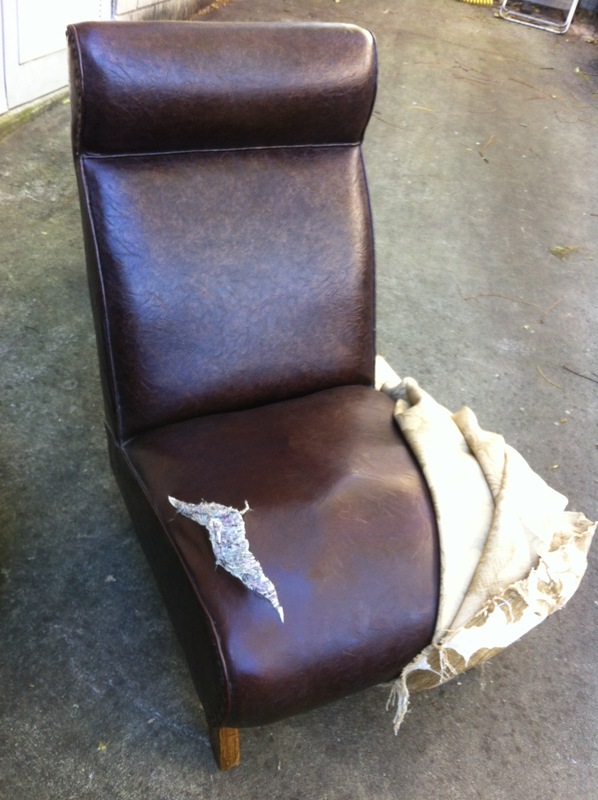 This client found this chair during a council clean up and loved the shape. 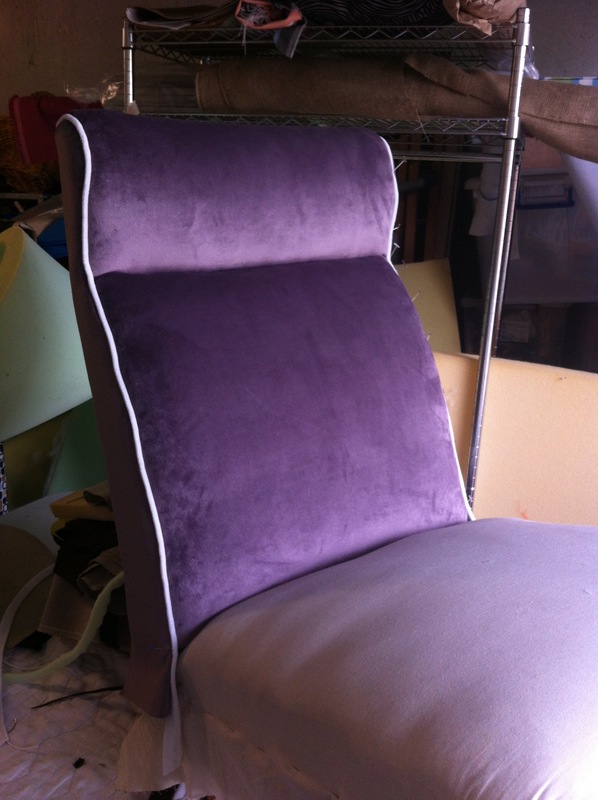 Once the fabric was picked – gorgeous velvet by Warwick, it was time to get to work. 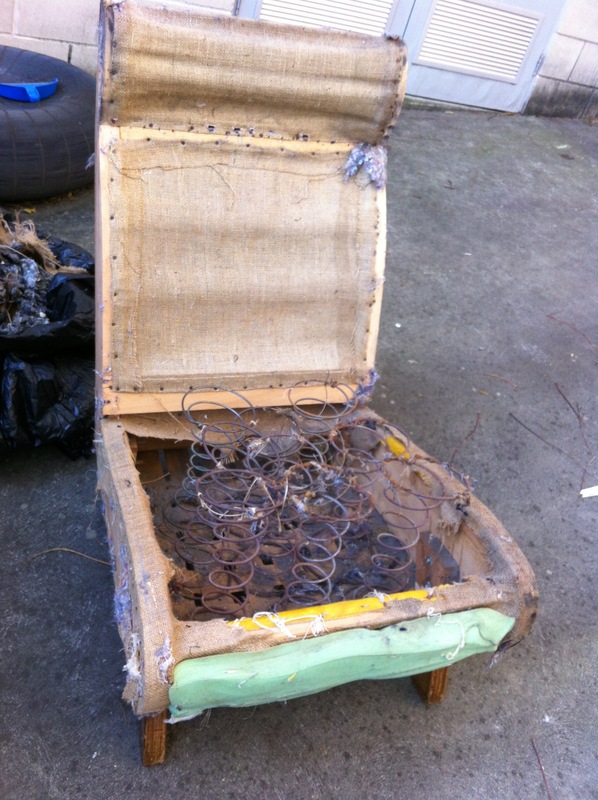 All the old layers were taken off, as well as the springs, as they were rusty and out of alignment. 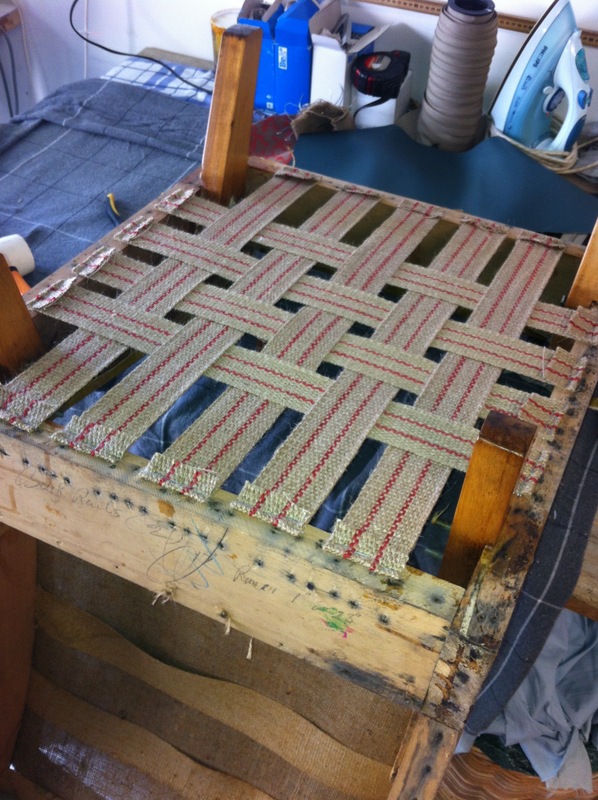 The legs were stripped of old paint and polish then it was time to put in new webbing, springs, hessian and padding and finally the fabric. 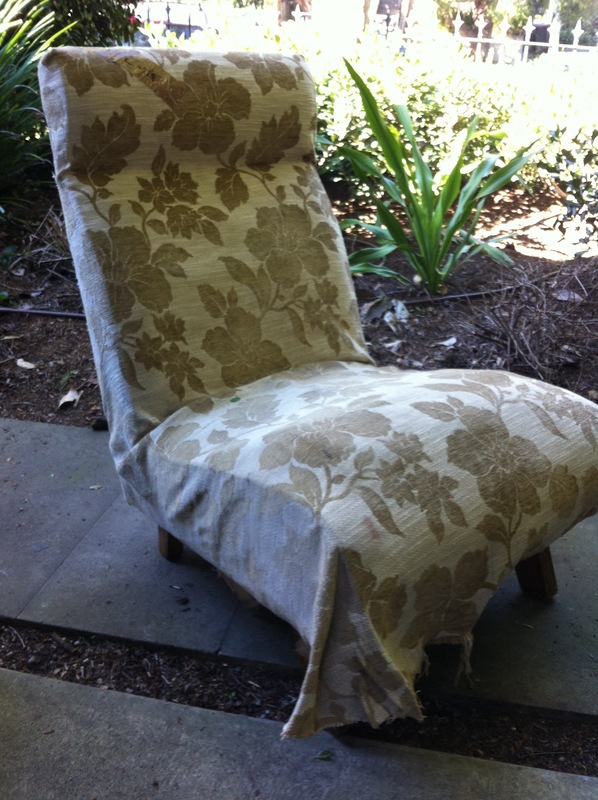 New outdoor cushions for a preloved rattan setting. 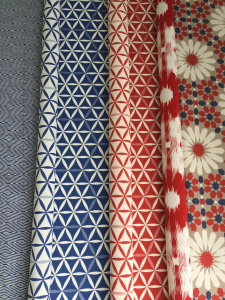 The fabric is gorgeous from Mokum Textiles. 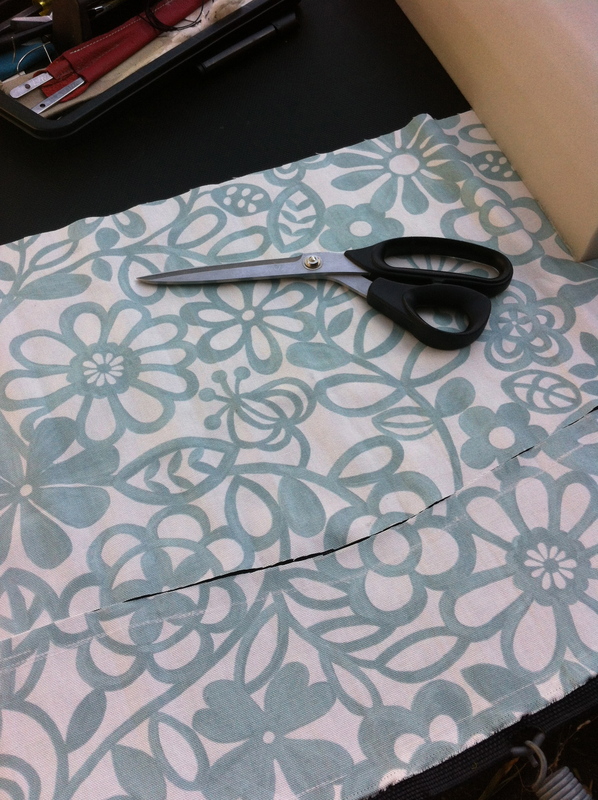 A big improvement from the old, very tired fabric. 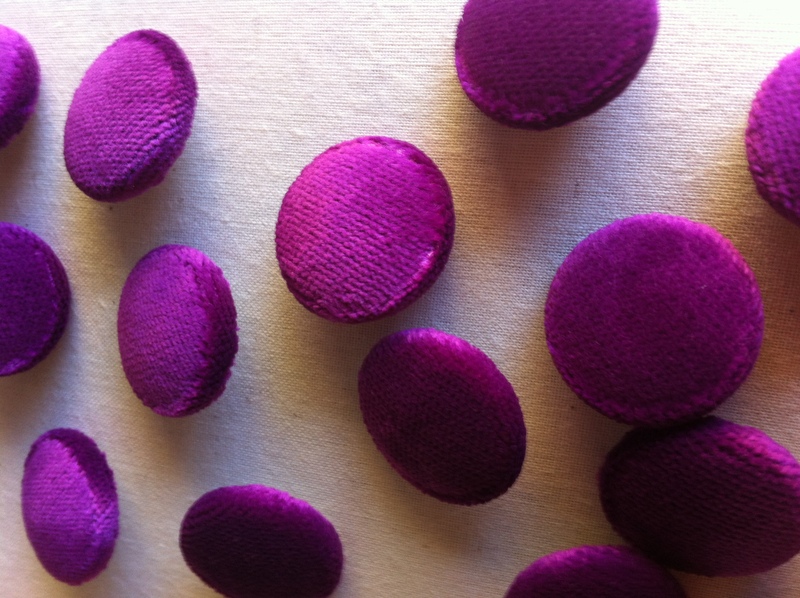 Who doesn’t love FUSCHIA – a vibrant purplish red colour which looks absolutely amazing in velvet. 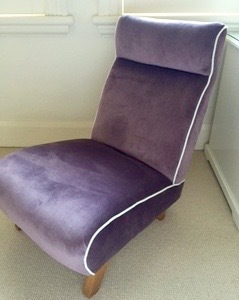 This client was not scared of colour !!!!! 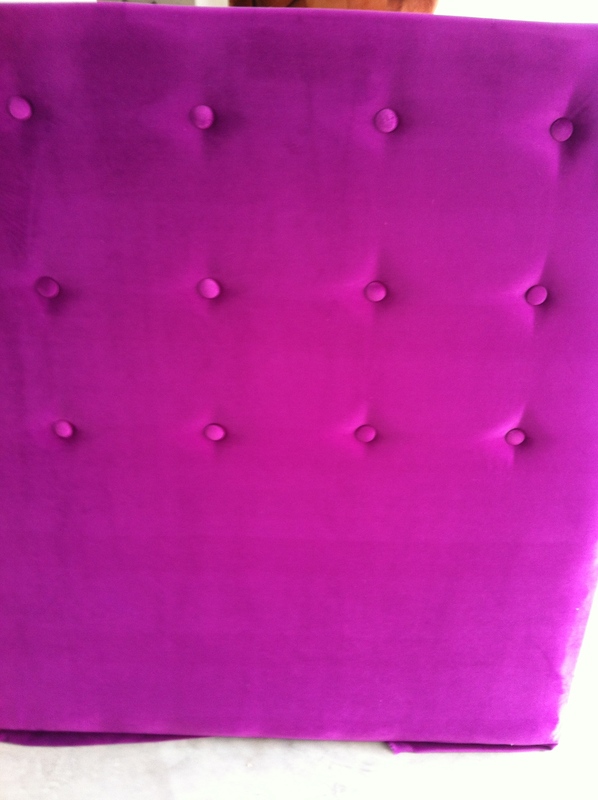 She wanted a bright, bun buttoned bed head made, to go against a dark, purple wallpaper. Bed head before the buttons were pulled through. 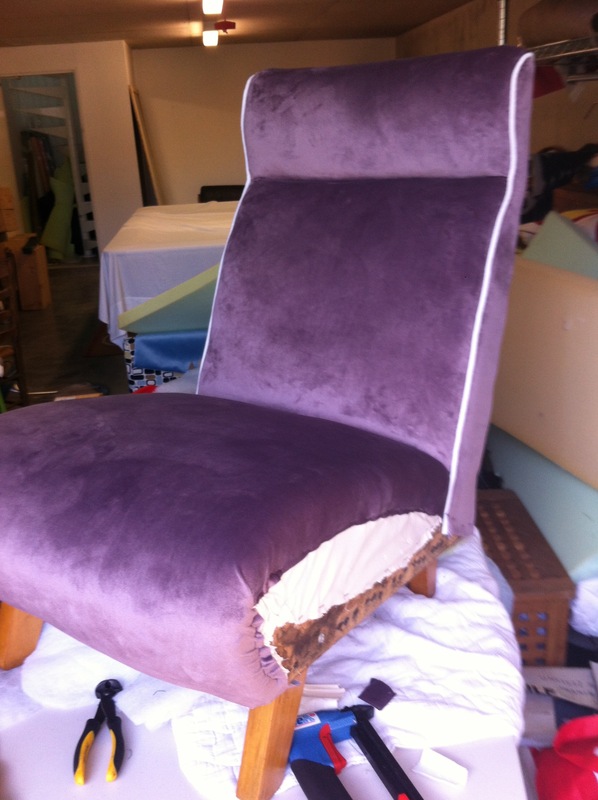 The finish product looked great – a very happy client. I love going to auction houses to see what treasures there are. 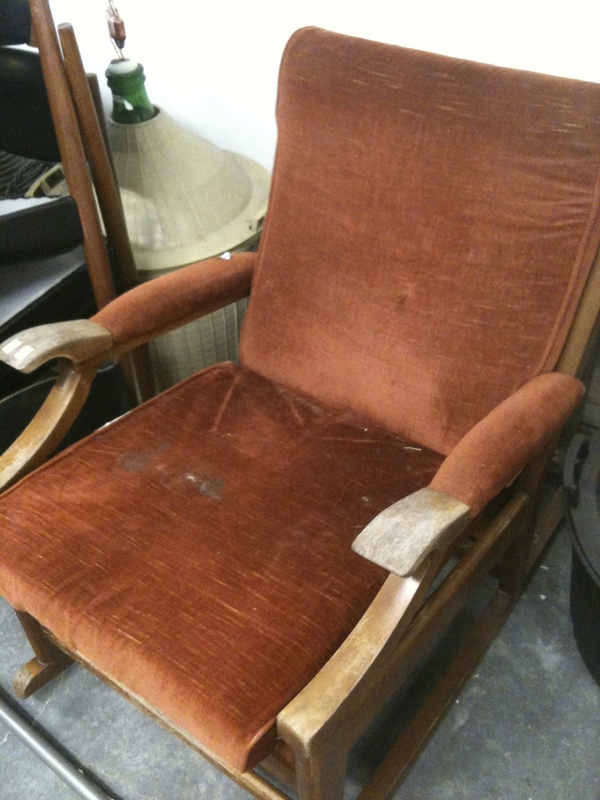 I came across this ugly looking rocking chair but I was sure I could transform it. 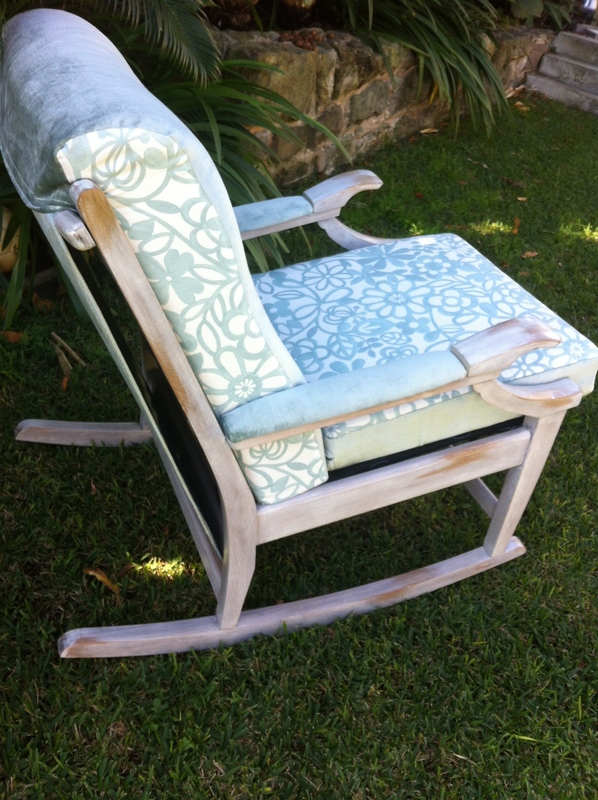 Old rocking chairs are hard to find and this one definitely was in the need of a makeover. 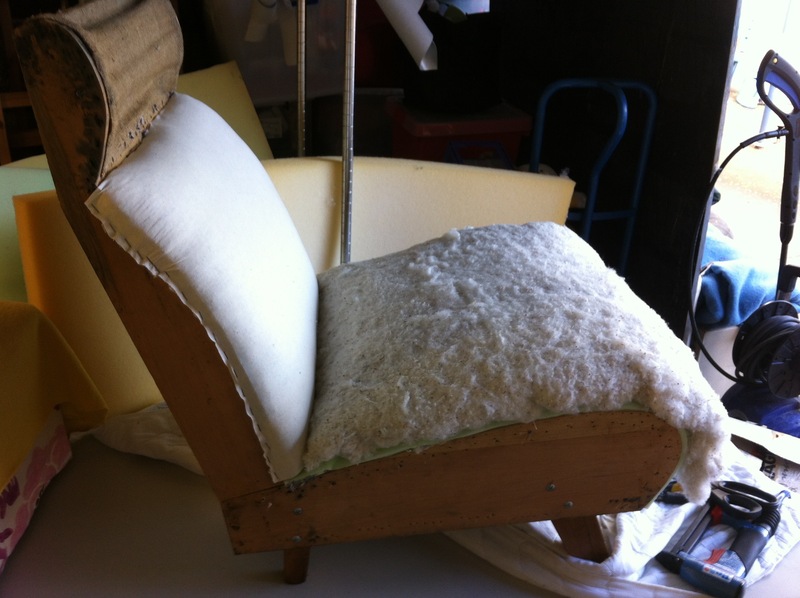 First things first – out with the old coverings and the old finishing on the wood. 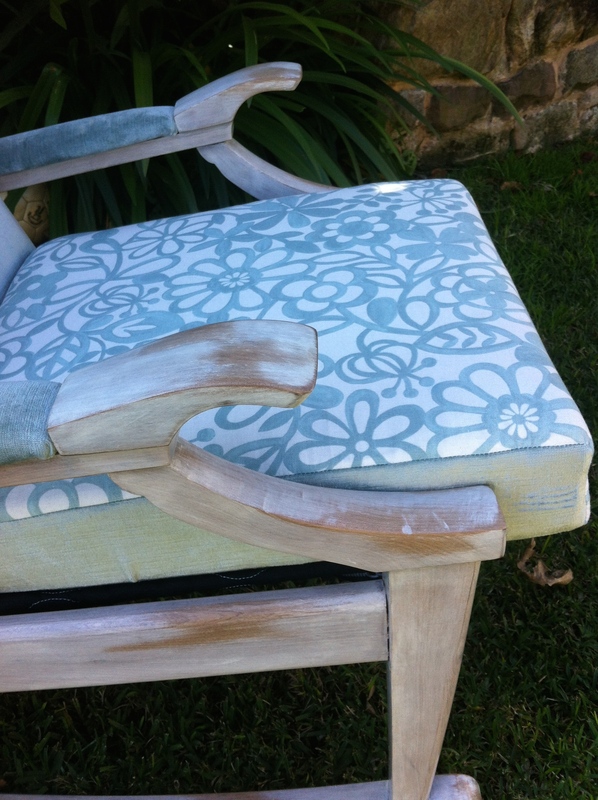 A good sand then a white wash and lacquer on top to create a shabby chic style. I have used material that I sourced from Bev’s Remnants. What a fantastic store – you never come out empty handed. 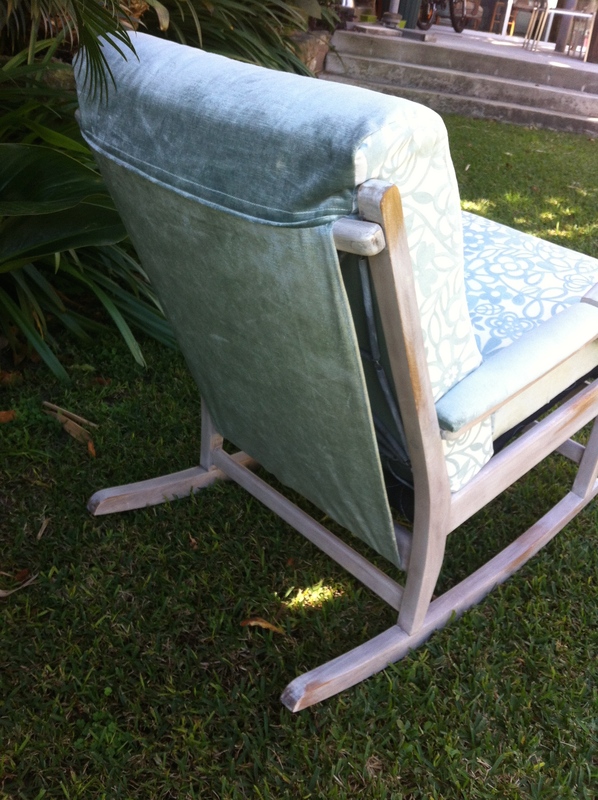 I love the soft blue/ green and the old fashioned velvet on the back and sides.